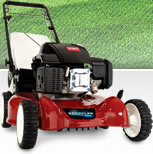 Mower Source is your #1 online mower dealer and has a large selection of walk behind push and self-propelled gas lawn mowers from Toro® and Husqvarna®. Providing you with a selection from the best lawn mower companies, we are confident you will be able to find the walk behind mower that suits your needs. And remember, we proudly offer Free Shipping with all mower purchases!